Cuddle with me and I will play you a song. 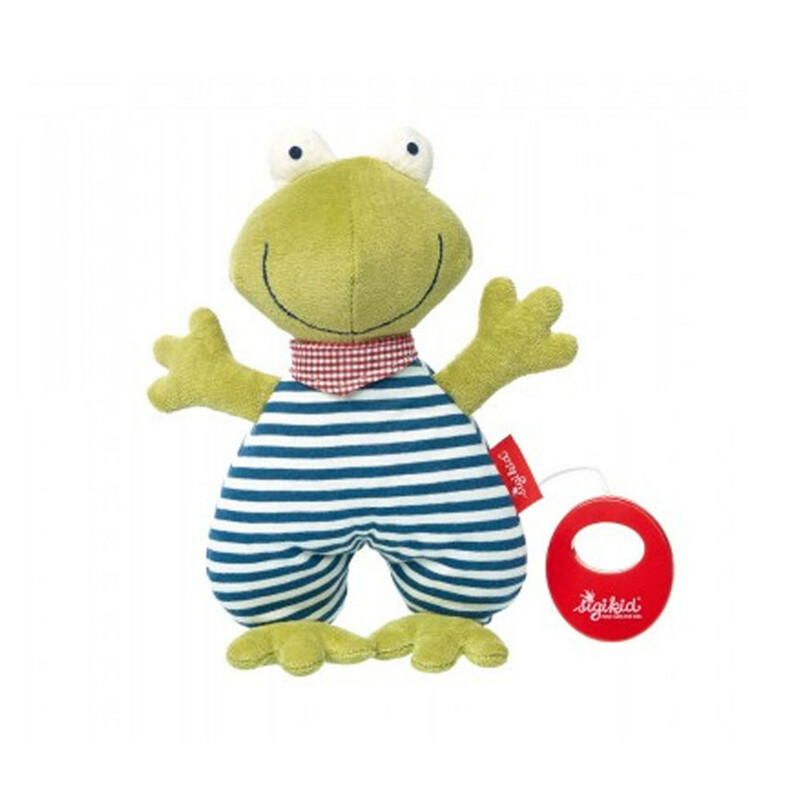 This darling musical frog will make every baby’s day brighter and is also a welcome guest and cuddly friend at night when it’s time for bed. Musical box included. It can be removed for washing or replacing with a different melody. The soft toy already has a musical mechanism when purchased.